Whitby born ex-Scarborough batsman Adam Lyth hasnt given up on an England recall ahead of the Ashes. Picture: Getty Images. Former Scarborough batsman Adam Lyth hasn’t given up on a recall to England’s Test side ahead of this summer’s Ashes series. Lyth opened the batting last time England hosted Australia, but was subsequently dropped having amassed only 115 runs in the series. Lyth hits out during the last Ashes series on home soil. Picture: Getty Images. However, the 31-year-old quickly added a caveat: “I don’t want to look too far ahead. “I just want to score a lot of runs for Yorkshire and win games for Yorkshire. Is a recall for Lyth really realistic? He averaged 27.33 in last season’s Championship and 25.22 the year before. There were times when he looked a million dollars, not least when scoring 107 against New Zealand at Headingley on only his second appearance, “probably the best knock I’ve played in my career,” he reflects. Other times, he struggled to cope with Australia’s impressive pace attack, managing only 115 runs in the five Ashes Tests of 2015. 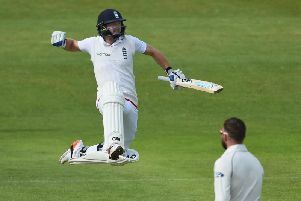 “I found it tough against Australia, but everybody did in that series apart from maybe Rooty (Joe Root),” he said. “I was probably a bit too loose outside off stump and I got out a lot on the back foot trying to play a back foot punch, when I should have probably been leaving the ball. “That’s where, with a bit more pace and bounce, I got a bit unstuck and probably should have learned a bit quicker than I did. It was a difficult period for the Whitby man, whose technique was dissected by ringside sages. “There’s nowhere to hide in Test cricket,” he reflected. “If you get three or four low scores for Yorkshire, nobody knows, but if you get them playing for England, you’ve got the whole world watching. “It’s not that the lads aren’t good players. Opening the batting is tough, the hardest job in cricket. 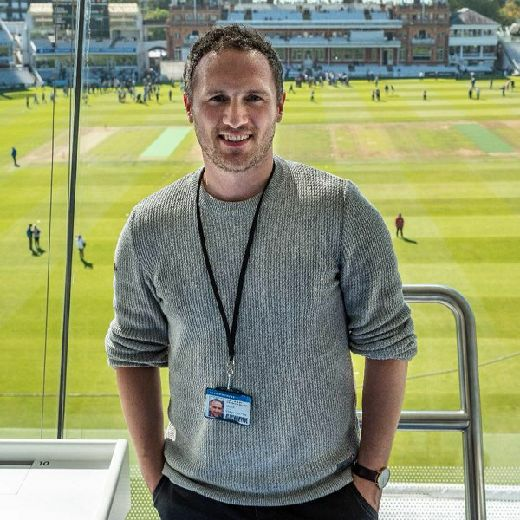 “There were some good players after Strauss, people like Sam Robson, but I guess it also goes to prove how good Alastair Cook was and also Strauss. Lyth refutes the idea – prevalent after England’s gung-ho capitulation in Antigua – that there are no batsmen in county cricket capable of playing long innings. “There’s players out there willing to soak up a 200-ball hundred,” he insisted. “The trouble with early-season, for example, is that if you try to hang around, there’s going to be a ball with your name on it, and maybe some players have tried to counter-attack by playing a few shots. “But it’s tough early-season. It’s not as easy as what people are making it out to be, and there’s some very good bowlers out there. “We played against some very good attacks last year. Surrey had Morne Morkel, Hampshire had (Kyle) Abbott and (Dale) Steyn and Fidel (Edwards). There’s some Test wickets among that lot. “Potentially, the first game of next season, we could be facing (Stuart) Broad and (Jake) Ball (at Notts). But that’s Division One cricket. “The best players in the world come and play early-season and they also struggle. Look at (Cheteshwar) Pujara. For his own part, Lyth is looking to go back to his natural game. Refreshed after a period recharging his batteries at home, he thinks he knows the key to reprising the form that got him picked for England in the first place. “The last two seasons have been frustrating, and I need to get back to playing how I’m at my best, and not looking to be too technical and too defensive, which I have done probably in the last couple of years,” he said.